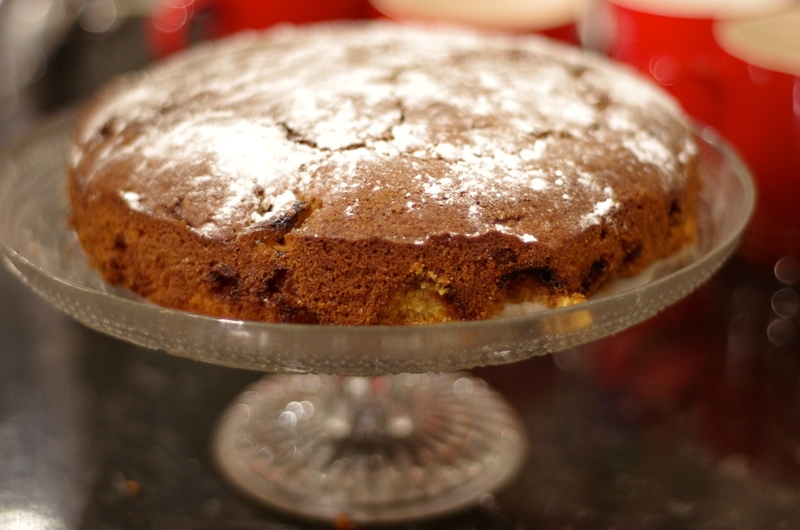 Emma’s Apple and Fudge Cake. 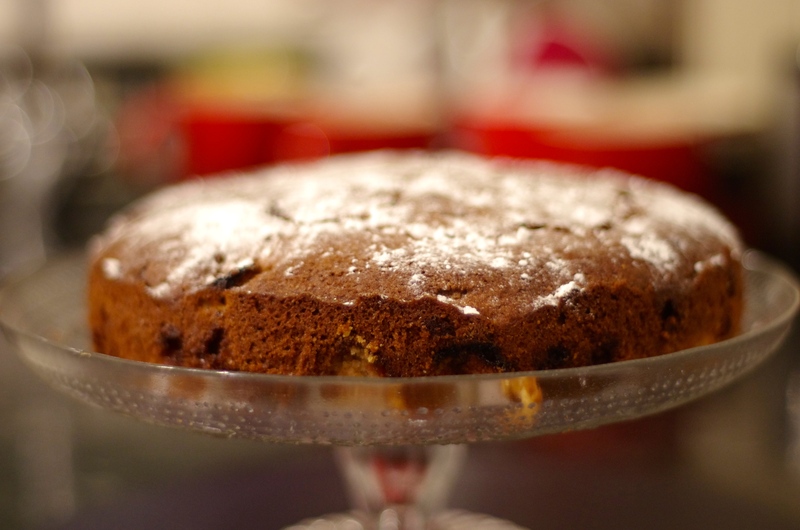 Apples, spice, indulgent fudge and crumbly cake make a winning winter dessert or tea time treat. The marriage of sweet and tangy apple with warming winter spices and melted fudge is the perfect antidote to the dreary November weather. Serve with clotted cream or creme fraiche as a decadent dessert for a winter dinner party or with a cup of tea or coffee as a simple tea time treat. 150g apples, peeled and core removed. 1) Preheat oven to 180C/350F/Gas 4. 2) Slice two apples into 1cm rings and chop the rest of the apples into small cubes. 3) Grease and line a 20cm/8inch loose-bottomed tin. 4) Sprinkle half of the fudge cubes into the bottom of the tin. Arrange the apple slices on top. 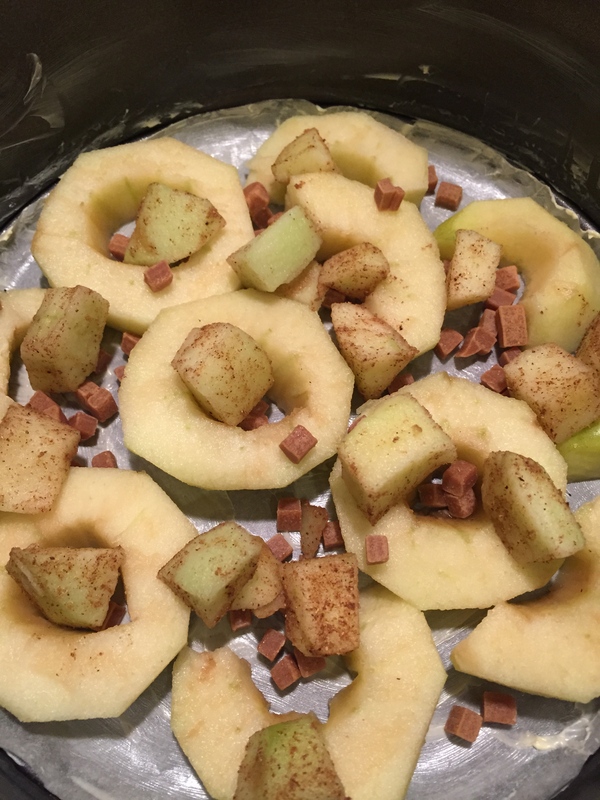 5) Put the rest of the cubes of apple and spices into a bowl and mix together thoroughly. Place half the apple cubes in the baking tin. 6) Cream together the butter and the sugar. Beat in the eggs, the flour and baking powder until combined. 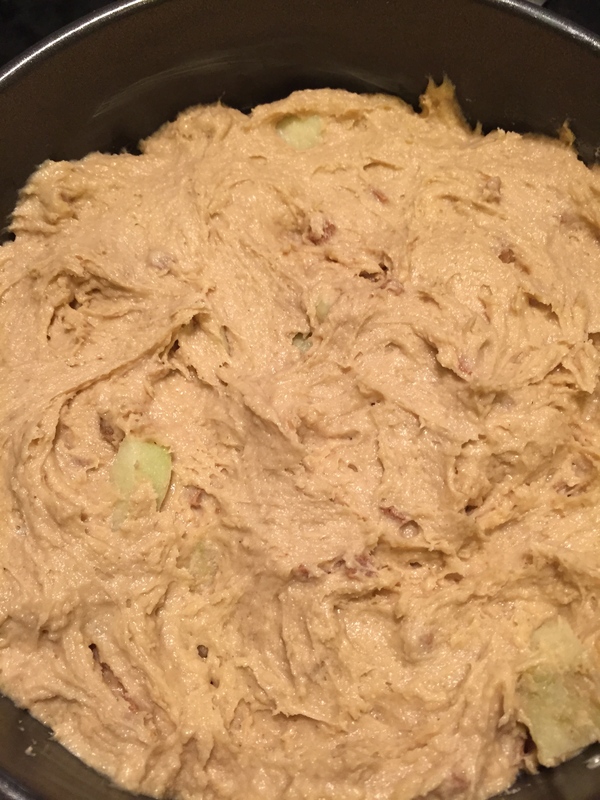 Stir the remaining apple and fudge into the mixture. 7) Bake in the oven for one hour, or until the top is golden brown. Remove from oven and set aside to cool. 8) Before serving dust with icing sugar. Sounds delicious and perfect for this time of year. Are there any particular spices you would recommend using in the mix? I used a Bart mixed spice which was cinnamon, nutmeg, ginger, coriander. This looks wonderful. Apples, spice and fudge do indeed make the perfect treat this time of year. Time for afternoon tea! it is delicious, you should def give the recipe a whirl. Apple and fudge is an interesting combination. I never would have thought of marrying them, but obviously it works. Definitely worth a try. I love the idea of mixing sweet fudge with the crisp taste of apple,sounds delicious,I bet it tastes as good as it looks.lovely recipe.